Our community partnerships engage students with non-profit organizations, local businesses, schools, farmers, food pantries, community gardens, and many others. This is a Sustainable Food Systems Program partnership project with the State College Food Bank. The mission of Food Bank Harvest is to harvest surplus produce from area farms and send it to food pantries across Centre County. Our main farm partners in 2018 include Food Bank Farm and the Penn State Research Farm. Learn how you can volunteer to help support this initiative here. Contact Mary Wurzbach at (717) 819-0939, or mmw5615@psu.edu with any questions about the program or to get involved. You can also read about the experience that Katrina Weakland, 2017-18 Food Systems AmeriCorps member, had with this project here. 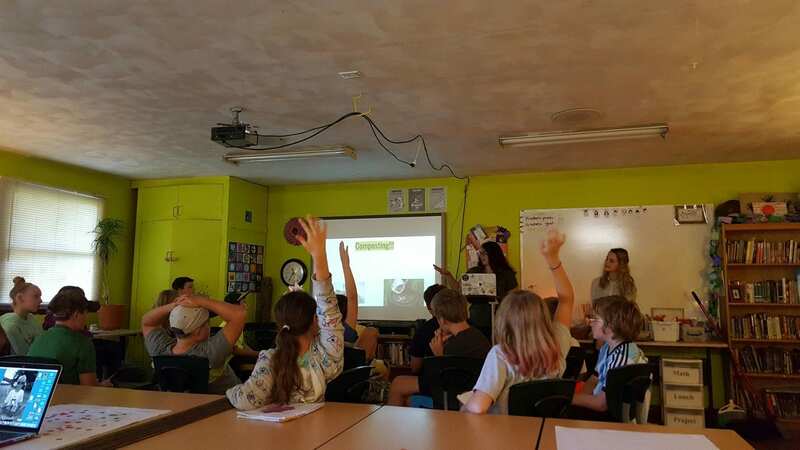 Our Youth Education Project Team allows students to engage with local children and discuss topics that are at the root of the Student Farm’s mission at Penn State. We strive to provide classes with educational, hands-on activities that will help them to be more aware of where their food comes from and the choices that they’re making, because they are the future of the planet and its prosperity. Using the Farm and our experiences with it as teaching tools, we can demonstrate these topics, and many others, to the youth of our community. You can learn more about our youth education programs here and here, and our conference here. Beginning in 2017, the Student Farm partnered with Master Gardeners’ Home Grown Project to provide vegetable plants for food bank clients to improve Food Security in Centre Co. 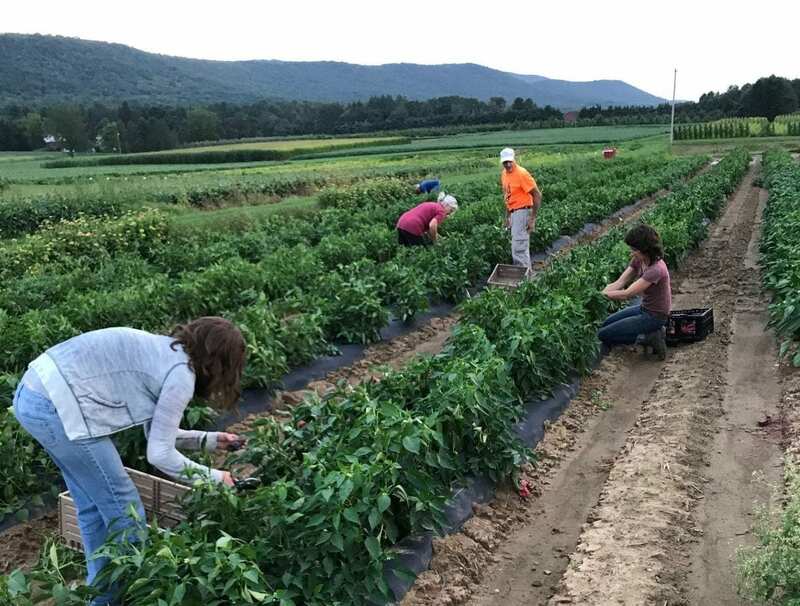 The Student Farm helped provide the PSU greenhouse space to grow a variety of tomatoes and peppers for distribution at local Food Banks in Centre County. 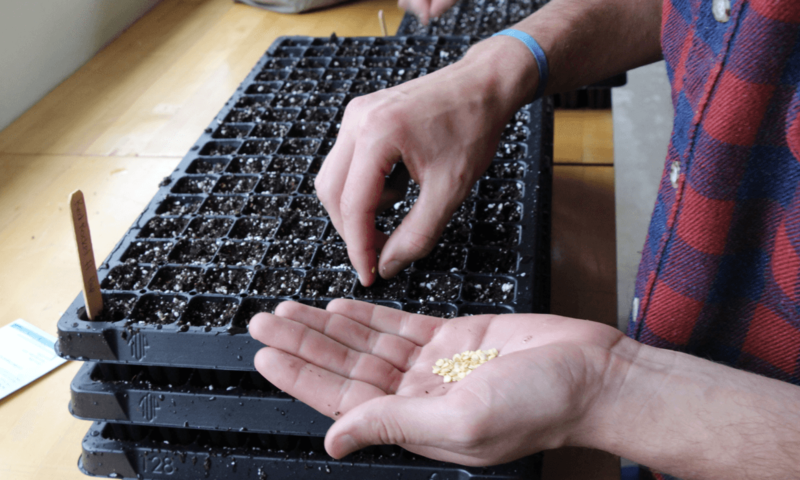 Each year, the project spans from March, with seed starting with Student Farm Club members, continuing through June for distribution. The project was expanded in 2018 to include growing more plants and distributing seedlings at more pantries.